Grand Central Publishing, 9781455506767, 272pp. In the vein of Susan Orlean's The Orchid Thief and Deborah Feldman's Unorthodox, journalist Emily Brady journeys into a secretive subculture--one that marijuana built. Say the words "Humboldt County" to a stranger and you might receive a knowing grin. The name is infamous, and yet the place, and its inhabitants, have been nearly impenetrable. Until now. Humboldt is a narrative exploration of an insular community in Northern California, which for nearly 40 years has existed primarily on the cultivation and sale of marijuana. It's a place where business is done with thick wads of cash and savings are buried in the backyard. In Humboldt County, marijuana supports everything from fire departments to schools, but it comes with a heavy price. As legalization looms, the community stands at a crossroads and its inhabitants are deeply divided on the issue--some want to claim their rightful heritage as master growers and have their livelihood legitimized, others want to continue reaping the inflated profits of the black market. Emily Brady spent a year living with the highly secretive residents of Humboldt County, and her cast of eccentric, intimately drawn characters take us into a fascinating, alternate universe. It's the story of a small town that became dependent on a forbidden plant, and of how everything is changing as marijuana goes mainstream. Emily Brady was born and raised in Northern California. A graduate of Columbia University's School of Journalism, she has written for the New York Times, Time, the Village Voice and other publications. She has reported from Latin America, Europe, Asia and New York City and now lives in the San Francisco Bay Area. "In a rare journalistic feat, Emily Brady burrowed deep inside an infamous subculture and emerged with a luminous but haunting dispatch about a secretive community of outlaw pot growers--some of whom would rather risk their lives than see their profits crushed by the decriminalization of cannabis. Brady's brave reporting pulls no punches yet makes no judgments as she chronicles four people torn by their allegiances to a place that represents the beauty and ruthlessness of the modern American frontier-and the hypocrisy of the country's drug policy. 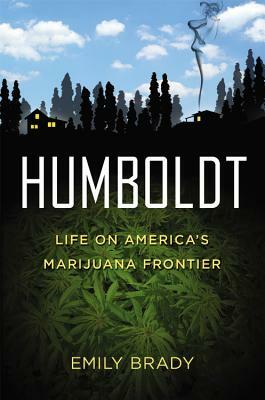 Humboldt is a triumph of immersion reporting: vivid, compassionate, maddening and unforgettable." "Emily Brady escorts you into the redwood-studded mountains of northern California where a secretive marijuana culture thrives-for now-outside the law. Deeply reported and populated with vibrant characters spanning generations, Humboldt documents the real lives behind America's favorite high. A fascinating and timely read." "Emily Brady has written a masterful opus dopus-to borrow a phrase from her book-chronicling the dreams and struggles of a community that has become infamous worldwide for their controversial cash crop. In Humboldt, she takes a clear-eyed look at the marijuana industry: its growers, trimmers, dealers, and family-run businesses. Readers will come away with a newfound and nuanced understanding of pot, but this is really a book about people whose outrageous, funny, and heartbreaking stories you won't soon forget." "In her book Humboldt, Emily Brady takes us on a rowdy off-road trip into the homeland of marijuana moonshining, where pit bulls guard the fields, cash fills up holes in the ground, and it's a bad idea to ask anyone you encounter what they do for a living."